← BARBADOS DAY: The Sopwith has landed! BARBADOS DAY: Thank you to all the volunteers! Clockwise from Bottom: King Fish; Marilyn Moseley; Sir Garfield; Brenda Alberts; Martha Ann,Gov’s Mother; Wilma King-Bennett; Gov. Douglas. The raising of the Barbados Flag at the Birthplace of B.C. Gallery last Saturday, also raised $3,200 for the Canadian Museum of Flight. 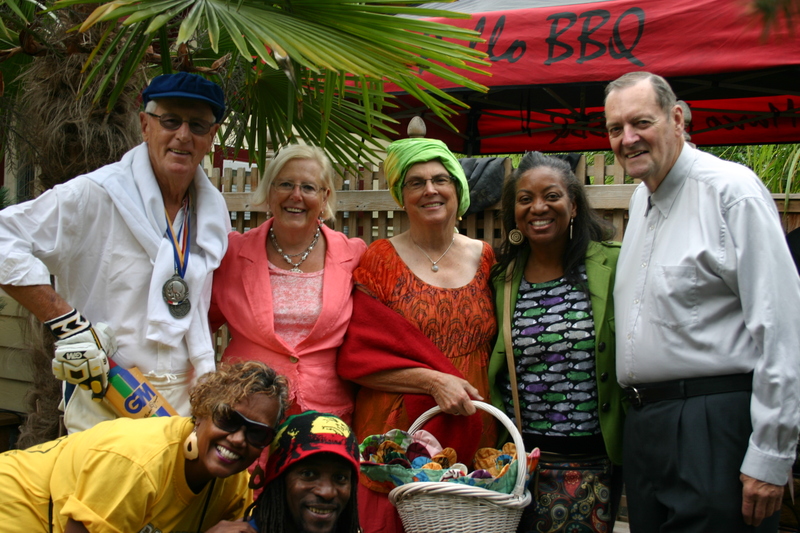 The annual Barbados Day fundraiser put on by the Gallery and the Red Stone Alley Band took a lot of volunteer effort. Many thanks to all the volunteers, sponsors and participants for making the 2015 Barbados Day so much fun! This entry was posted in Barbados Day, Birthplace of B.C. 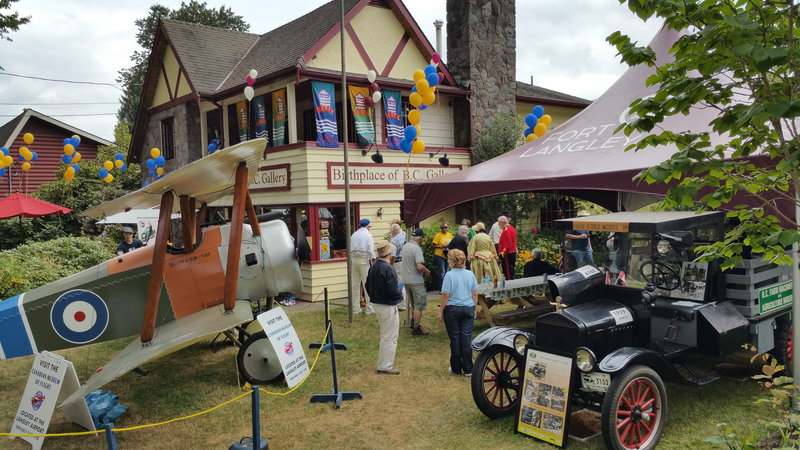 Gallery, Brenda and Kurt Alberts about town, Caribbean Festival, Community Volunteers Make a Difference, Fort Langley Village News, Historic Trust, People Matter. Bookmark the permalink. Enter your email address to follow Gallery News and receive email notifications of new posts.